Updating PHP from 5.6 to 7.2. Here below you can see some known details that can cause problems when you change to PHP 7.2 from some older version like 5.6. As soon as people hear words like change or update when talking about versions of their programming languages, programs and other systems or parts of it they get worried. People feel panic. What if something goes wrong? What if their website stops working? Many people use different CMS tools for their websites. A very common CMS is WordPress. This one can manage its own updates. The whole system, themes and plugins can be updated very easy. So, changing PHP from 5.6 to 7.2 is not noticeable if all updates have been done regularly. If your website has been created by some programmer some years ago then it can be problem. Without updates maybe your website uses too old PHP. In this case you will probably have to do something. Here below you can see some known details that can cause problems when you change to PHP 7.2 from some older version like 5.6. Problem: If we have $$var in a FOR-loop, the variable and its content does not work anymore outside the FOR-loop. Solution: Avoid that empty line. 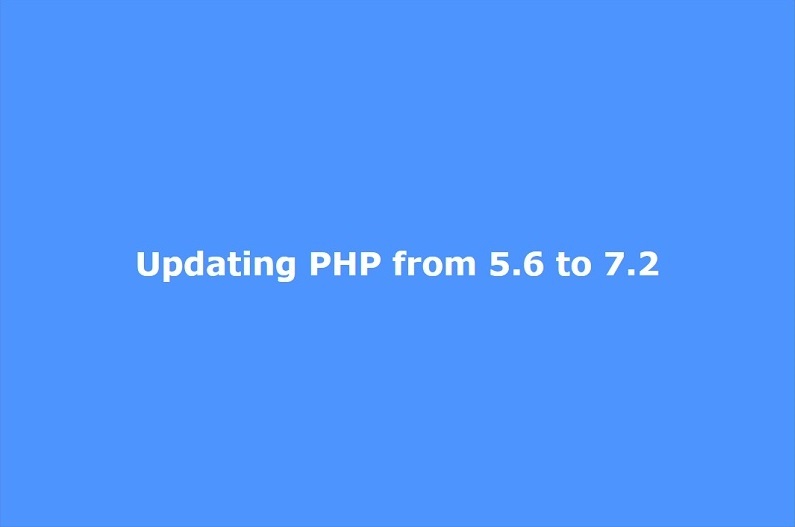 Updating PHP from 5.6 to 7.2: If programming was done properly from the beginning all changes can be done easily. One of the biggest problem in this case is when a website that uses old database connection stops working. In that case it can take long time to make changes if there are many scripts in many files. If programming was done properly from the beginning all changes can be done easily. So whenever you program a website, it can be good to organize files and scripts properly. It is good for your future changes and improvements.